Construction Project management procedures so project managers can easily enter data, site events, labor activities, material costs, workforce information and more into a fully searchable database updated in real-time. Best project management practices are built into the interface of company software based on 30 years’ experience as construction consultants working to protect your profits. eSUB’s cloud-based project management platform offers solutions for all roles in a commercial subcontractor construction firm – Executives, Project Managers, Field Workers, and Accounting staff, that go beyond facilitating crucial project delivery tasks. eSUB’s software supports business outcomes that drive teams to build the best and most profitable commercial construction projects on the planet. eSUB standardizes project management procedures so project managers ca easily enter data, site events, labor activities, material costs, workforce information and more into a fully searchable database updated in real-time. Best roject management practices are built into the interface pf our software based on 30 years' experience as construction consultants working to protect your profits. Your Foreman, Project Engineer, Project Manager, Purchsing Agent, and Accounting Departments all access the same secure internet company portal from any location without having to manually sync data. eSUV offers continuous updates in real-time.You can even download everything to your own hard drive. Once a document is created in eSUB, it's also automatically logged. No more manual updates in Excel. eSUB's logs pull information directly from the database and allow all team players to view or update status, notes or critical information with a few clicks. All logs can be converted instantly to Excel and are fully searchable. Organize annd manage all the details of your projects within a fully searchable database. 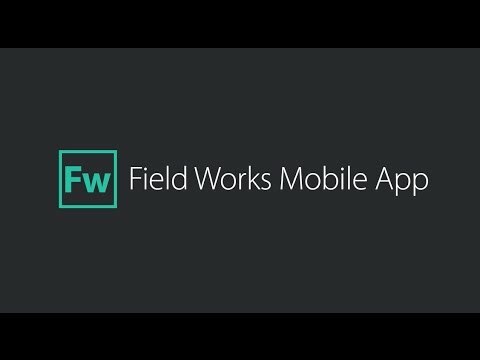 eSUB Field Works allows you to create, store and access all your project notes and photos from your iPhone and iPad. Q. What is Software as a Service (SaaS)? A SaaS Provider is a third-party entity that manages and distributes software-based services and solutions to customers across the Internet from a central data center. Q. Why is eSUB better than a standard construction software package? With eSUB you tailor your Project Management System to fit your company’s needs using a dynamic system that grows with your business. Manage all your projects anytime, from any device. With standard construction software you risk paying thousands of dollars, trying to make it fit your company, and finding it soon becomes outdated. Q. Do I have to buy separate licenses for every computer or device with access? No. Your eSUB license can be accessed from any computer or device without paying extra for separate license fees. You have complete access to all project information online. Q. Can I access my eSUB projects from any computer? Since eSUB is Internet based, you can access any eSUB project from any personal computer or device with Internet access. Review, manage and update all project information company-wide from the jobsite, office or home. Q. How many projects can I manage with eSUB? You can create as many projects as you like. This allows you to track all projects and have instant access to real-time information at any time from any where.